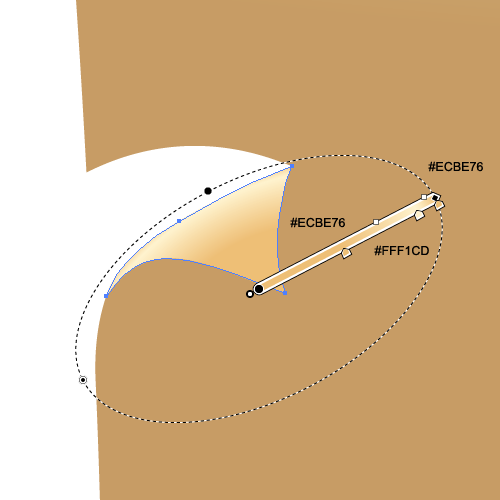 In this half of the Adobe Illustrator tutorial we will go through and add the fine finishing touches that will really give the illustration that proper parchment feel. So let us continue. There is one interesting detail we can create. 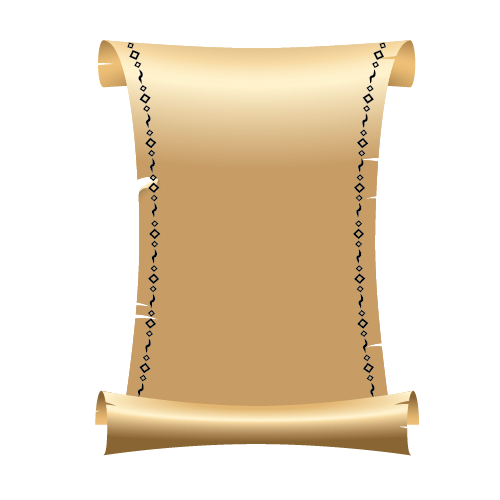 Since the parchment is old, some of the parts can be ripped a bit more then others. So let’s create one of them. 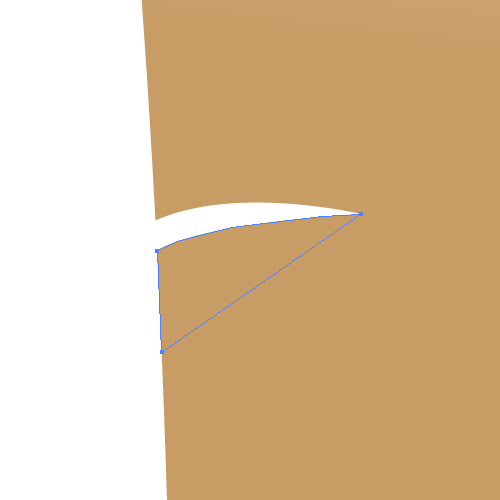 Since we have a few ripped edges pick one to adjust a bit more. 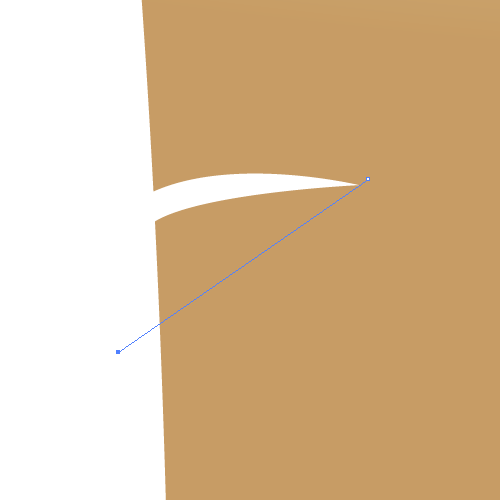 Grab the Line Tool (/) from the Tool Panel and create a straight line as shown in the image. 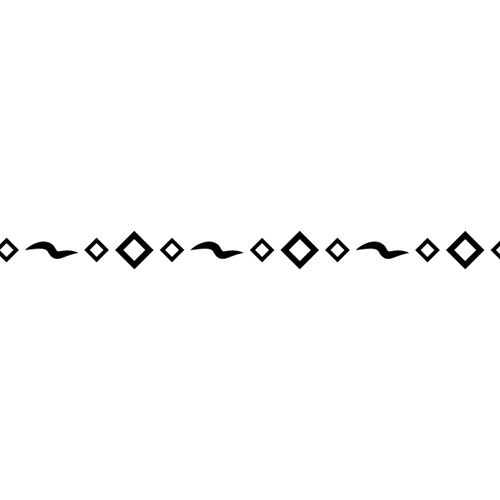 Select the largest part of the parchment and the line we have just created, and under the Pathfinder Panel hit the Divide button. It will cut off the small part of the parchment. 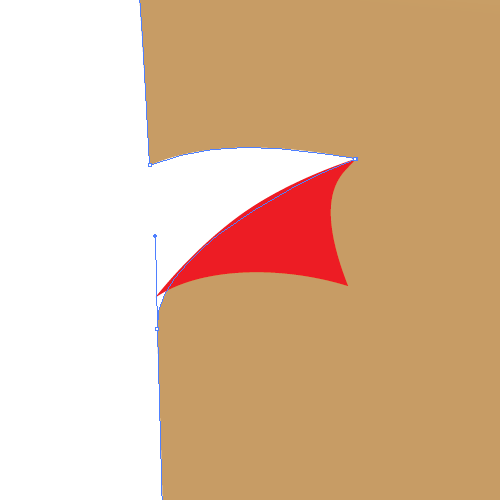 Rotate the small segment and place it as shown in the picture below (you can change it’s Fill color just to avoid any mistakes). 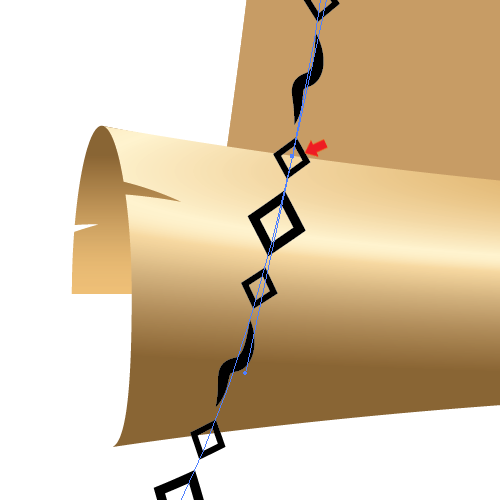 Now we need to adjust the edges in order to make it look like this part is really connected to the large part of the parchment. With the Direct Selection Tool (A) adjust the position of the anchor points and their handles until you reach a desirable look. 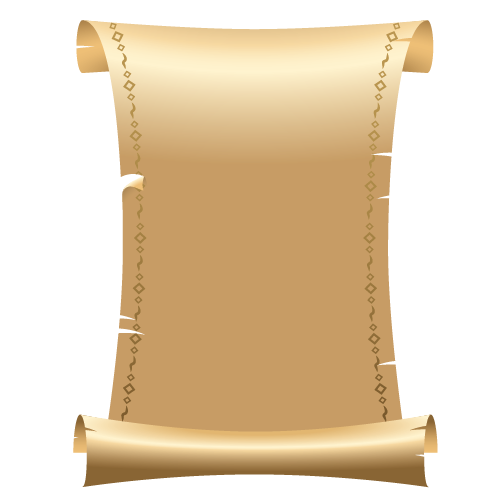 We will need to adjust the left edge of the large part of the parchment as well. To try to make it less sharp. Now let’s try to connect those parts in order to make them look like one solid piece. Feel free to add and remove anchor points and change the positions and angles of their handles if needed. Just try different things until you create something you really like. Our illustration will look much better after we apply a nice gradient. 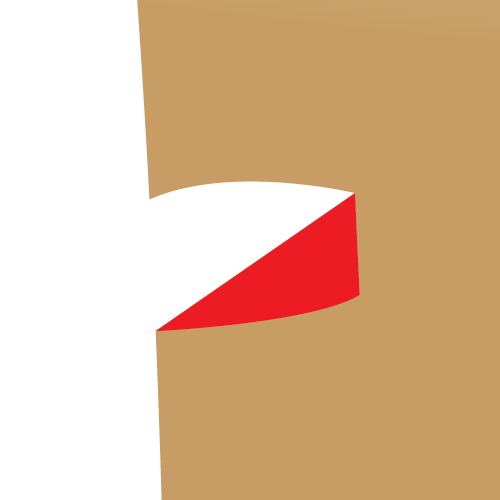 To make the whole illustration even more authentic we will create a small shadow underneath the folded segment we have just created. 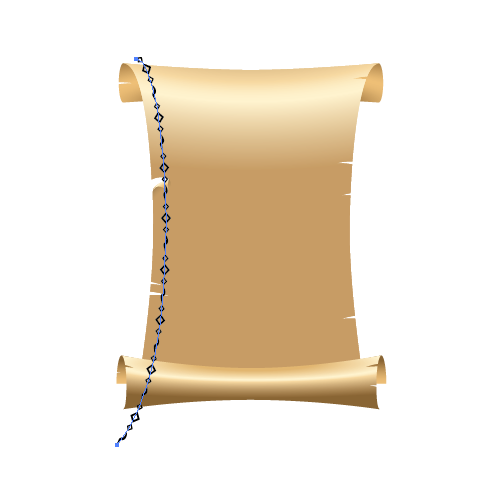 Duplicate (Ctrl / Cmd + C, Ctrl / Cmd + F) the large part of the parchment. 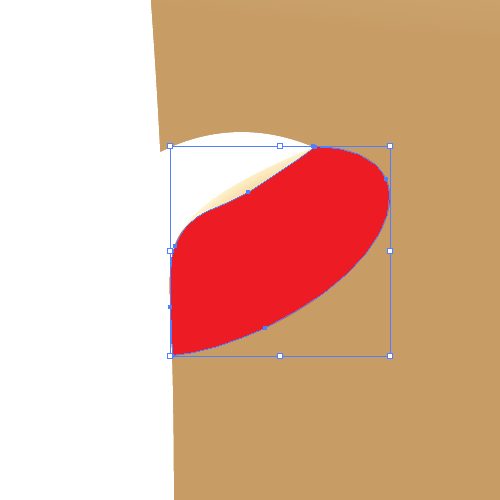 Grab the Ellipse Tool (L) from the Tool Panel and create an ellipse as pictured. 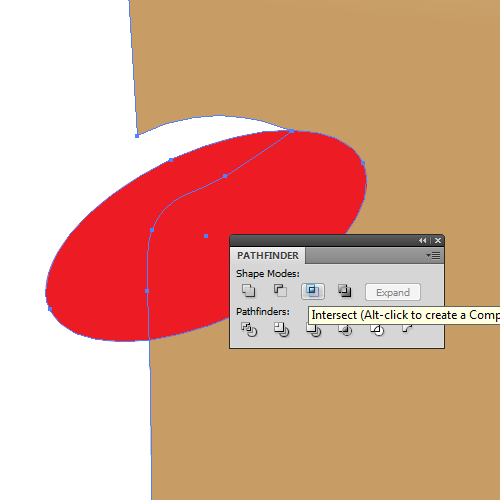 Select the large part of the parchment and the ellipse we have just created, and under the Pathfinder Panel hit the Intersect button. 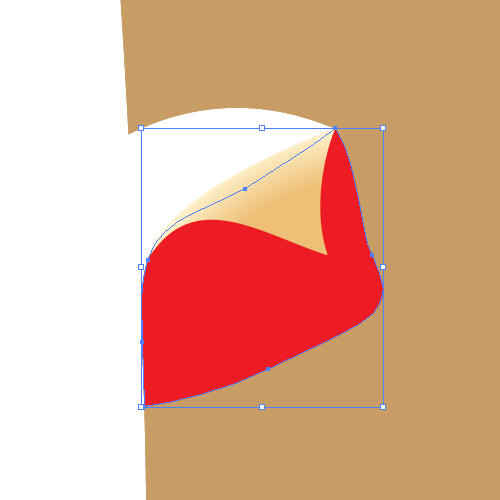 It will create an irregular shape that will follow the left edge of the illustration. 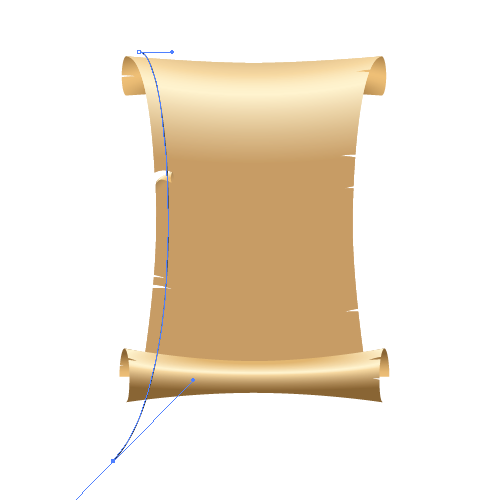 Make sure to place the folded segment of the parchment on the top (Shift + Ctrl / Cmd + ]). Beside that try to adjust the red shape a little bit, in order to blend the shadow nicely with the rest of the illustration. 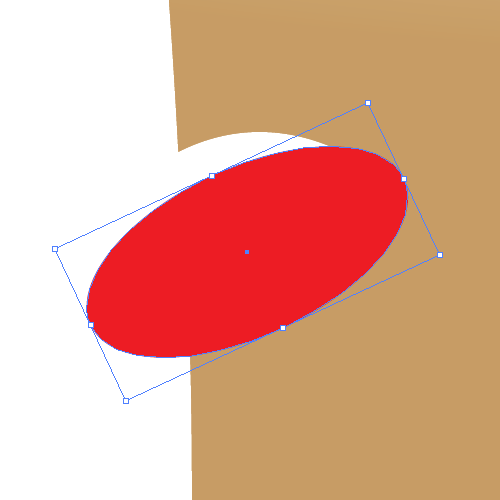 You can do this part after applying the radial gradient if it’s more comfortable for you. 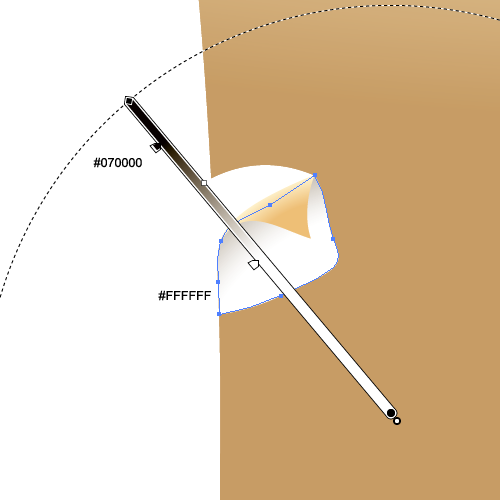 To create a shadow we will be using the radial gradient with a really big radius. This will allow us to manipulate the shadow the way we want it. 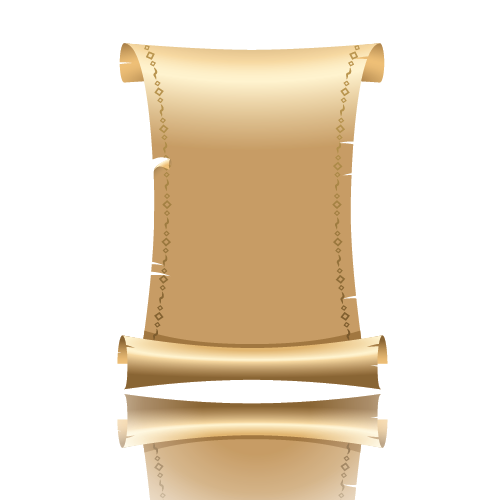 Under the Transparency Panel set the Blend Mode to Darken. It will make the white color transparent and the dark color will become a nice shadow. 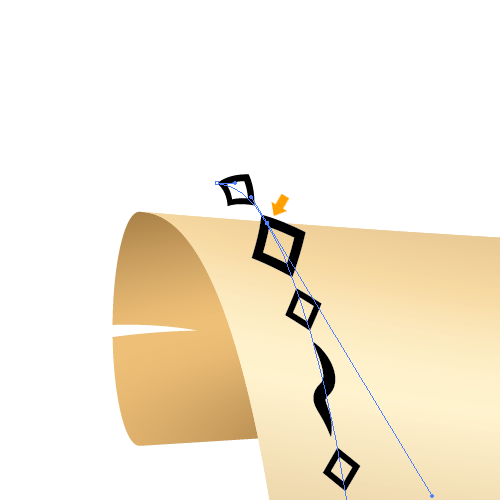 In this part of the tutorial we will create a nice ornament brush that will be applied to both sides of the parchment. 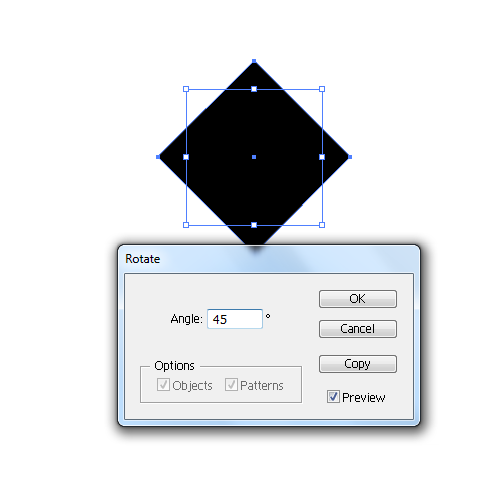 Grab the Rectangle Tool (M) from the Tool Panel and create a square (don’t forget to hold the Shift key on the keyboard in order to create a perfect square). Make sure to rotate it 45 degrees. 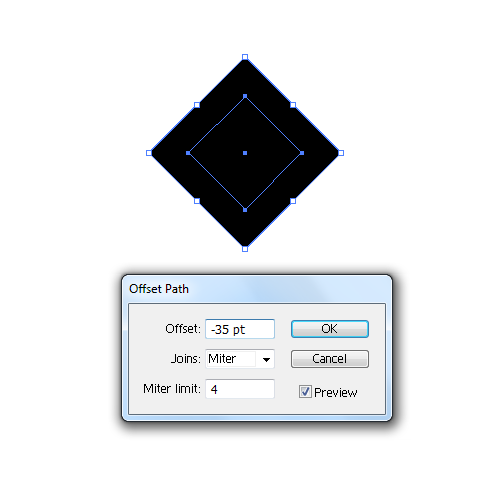 Under Object select Path > Offset Path. Set the value for Offset to -35. 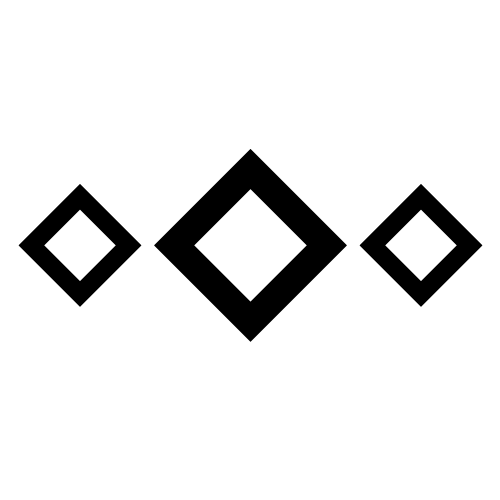 It will create a smaller rectangle in the middle of the big one. 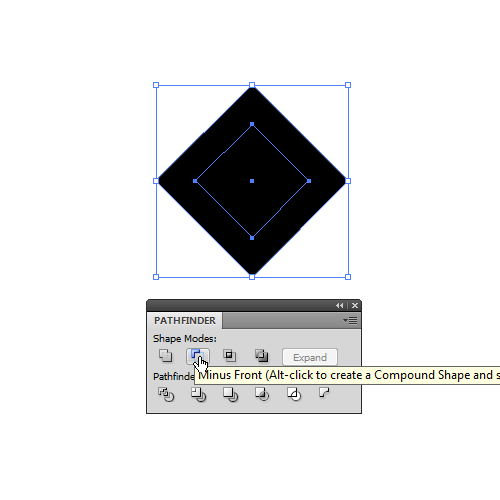 Select both rectangles and under the Pathfinder Panel hit the Minus Front button. It will create a hole in the middle of the larger rectangle. 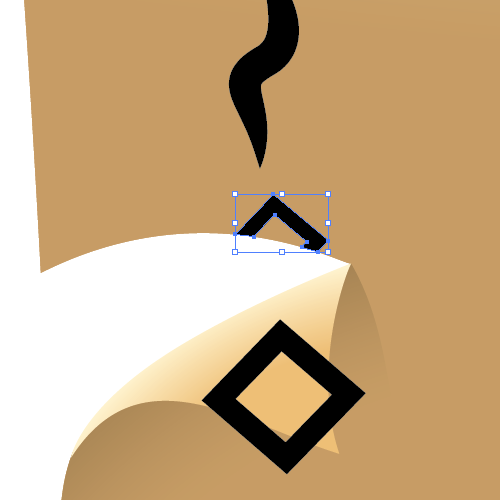 Duplicate (Ctrl / Cmd + C, Ctrl / Cmd + F) the new shape, scale it down a little bit and place it as it is shown below. 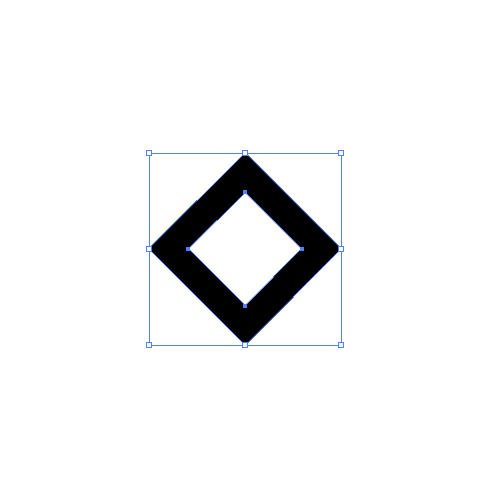 Repeat the previous step to create a smaller element for the left side as well. 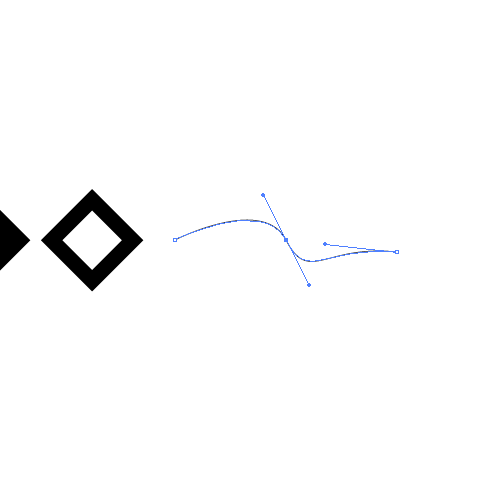 Grab the Pen Tool (P) from the Tool Panel and create a random path. 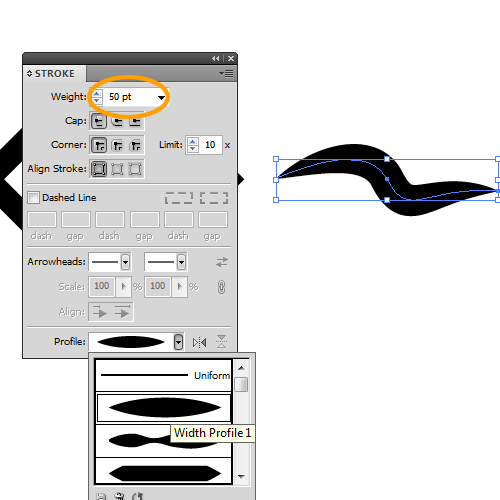 Under the Stroke Panel set the value for Stroke to 50 and Profile to Width Profile 1. Don’t forget to expand the new shape (to turn it into an editable object). Select Object > Expand Appearance. Group (Ctrl / Cmd + G) all the elements. Duplicate (Ctrl /Cmd + C, Ctrl / Cmd + F) the group of elements we have just created a few times and place the copies as pictured below. Drag and drop the group in to the Brush Panel. 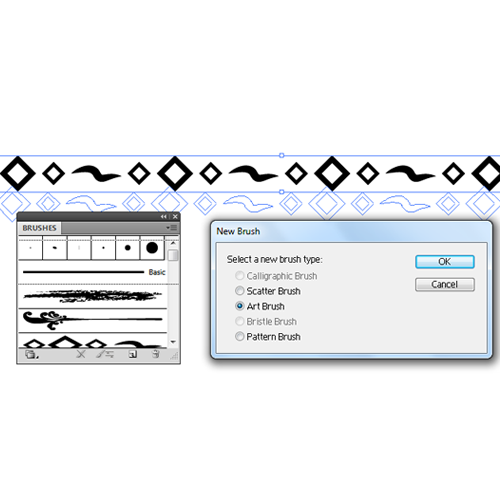 Make sure to check the Art Brush option in Brush Panel. 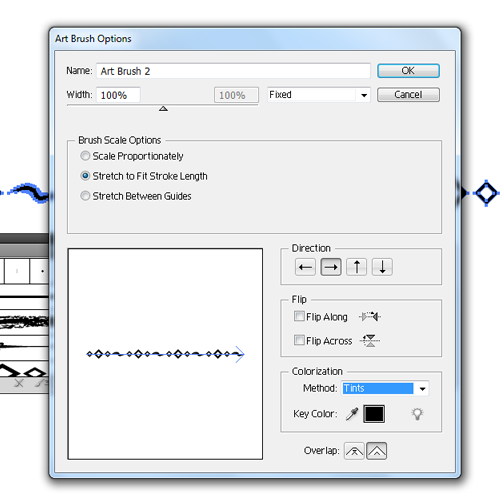 Inside the Art Brush Options make sure to set the Colorization Method to Tint and hit the OK button. Now we need to apply the brush to our rolled up parchment. We will need the Pen Tool (P) for that. 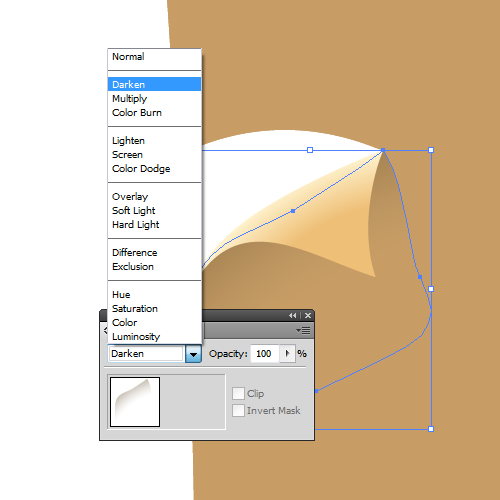 Grab it from the Tool Panel and draw the path as like it has been done in the below. Just try to adjust it to follow the parchment’s edge. When you are satisfied with the path apply the brush we have created in the previous step. After applying the brush feel free to adjust the Stroke size and the position of the path as you desire. 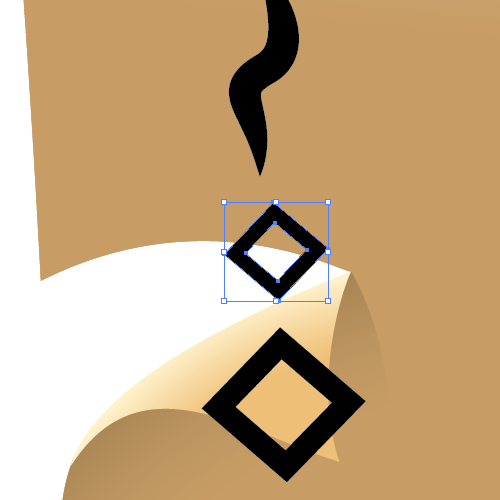 Now, grab the Add Anchor Point Tool (+) from the Tool Panel and add anchor points as shown in the following picture. With the Delete Anchor Point Tool (-) remove the end anchor point. We will do the same thing for the lower part of the brush. 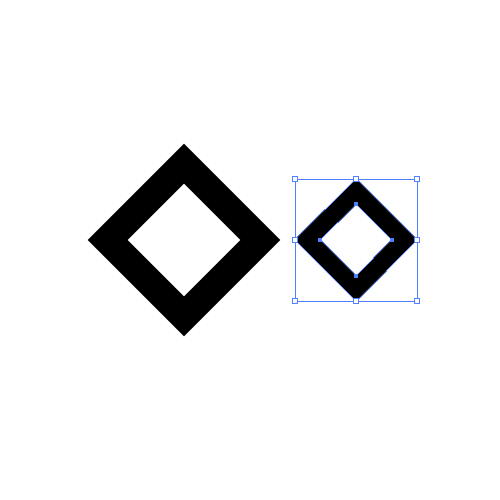 Let’s create the same ornament for the right side of the illustration. 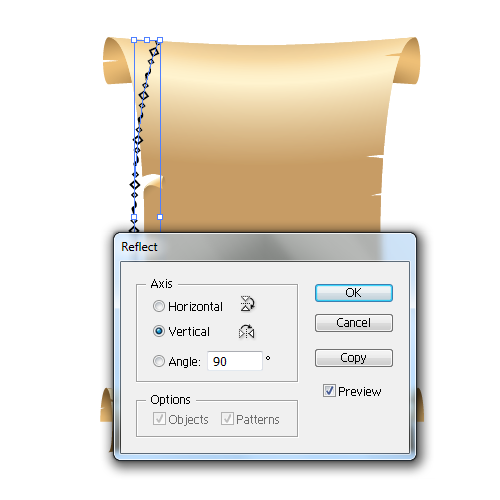 Select the path with the applied brush and under Object select Transform. Set the Axis to Vertical and hit the Copy button. It will create another path as a mirror image. 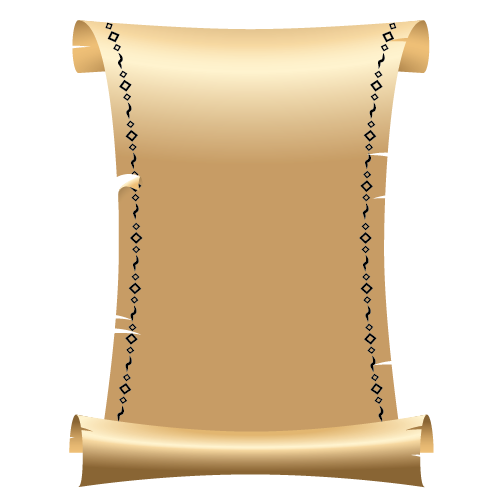 Place it on the right side of the parchment. 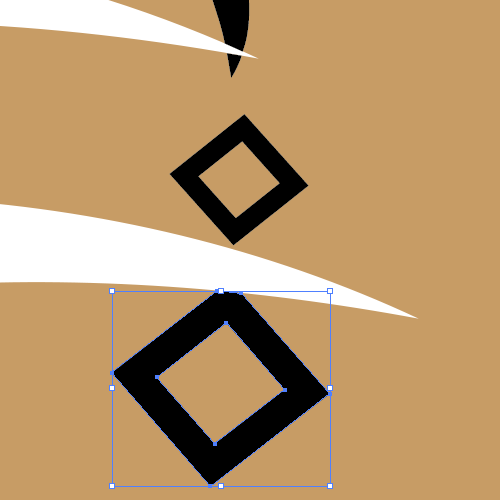 As you can see we have to make a few adjustments to both sides of the illustration. To be able to do that we need to turn both paths into editable objects. 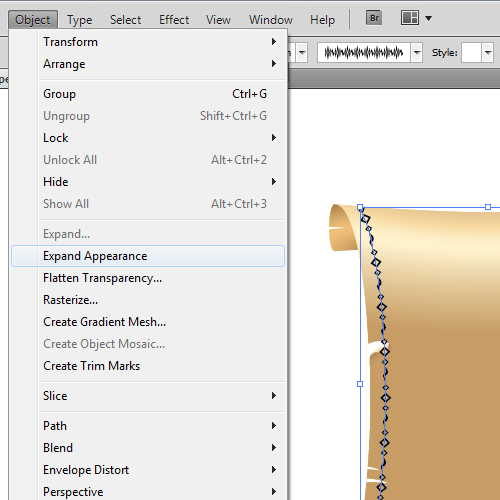 Select them both, and under Object select Expand Appearance. We will try to fix the left side first. Ungroup (Shift + Ctrl / Cmd + G) the ornament. 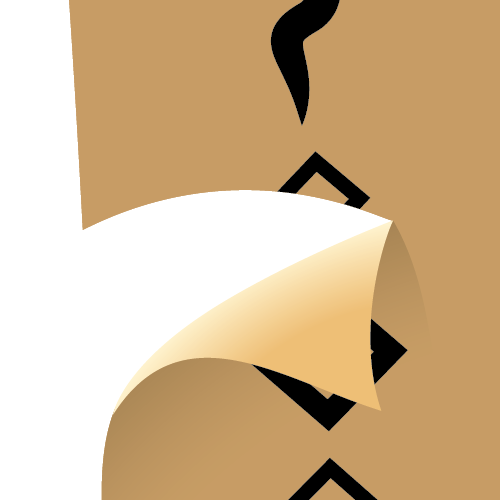 Now we need to trim some elements and we will start with the one placed exactly over the ripped part of the parchment. 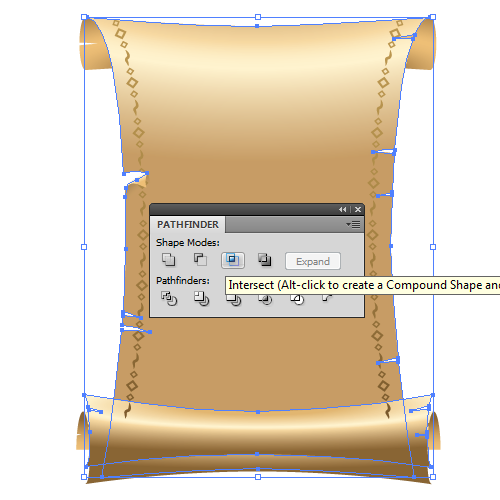 Duplicate (Ctrl / Cmd + C, Ctrl / Cmd + F) the large shape of the parchemnt. 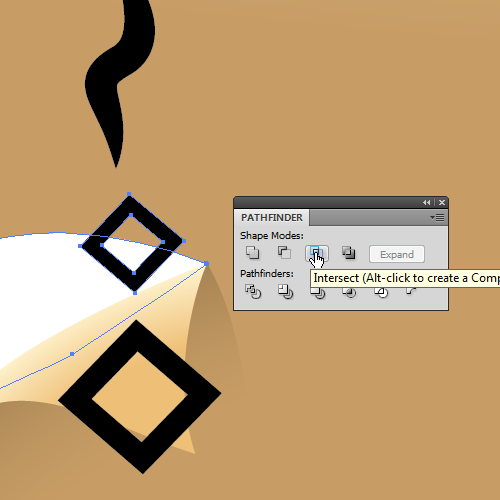 Select the copy and the squared element from the ornament brush and under the Pathfinder Panel hit the Intersect button. 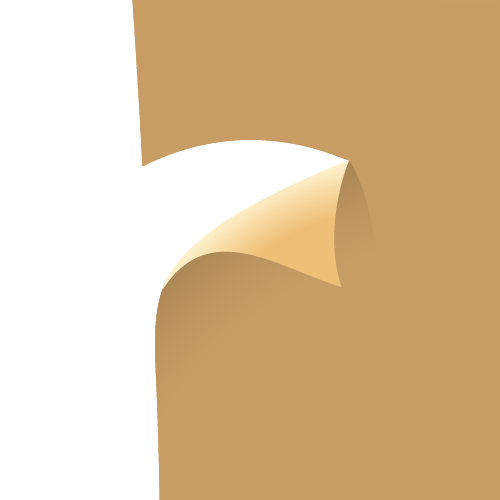 The other squared element that overlaps the parchment we will simply place underneath the fold from the tear in the side. We will repeat this for other parts of the illustration as needed. 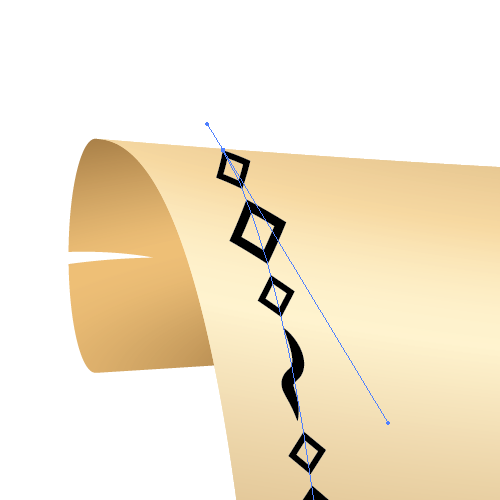 After adjusting all of the parts of the ornamentation you should end up with something like this. Now we can apply a nice color to our ornament, a bit darker than the color of the parchment. Group (Ctrl / Cmd + G) all of the elements of the ornamentation on each side of the parchment and apply a nice linear gradient to them. 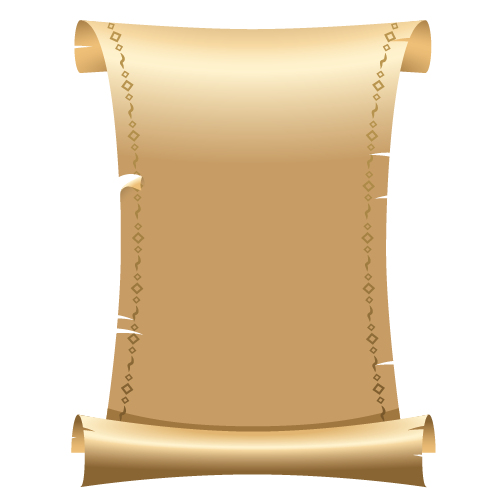 We can also create a small shadow on the lower part of the parchment. 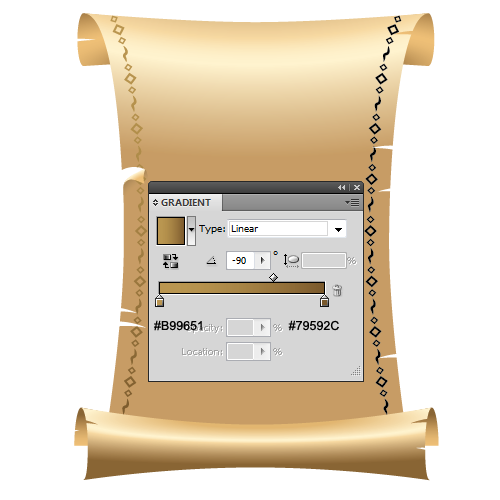 Select the lower part of the parchment which rolls up and duplicate it (Ctrl / Cmd + C, Ctrl / Cmd + F). Then move the copy a bit upwards. 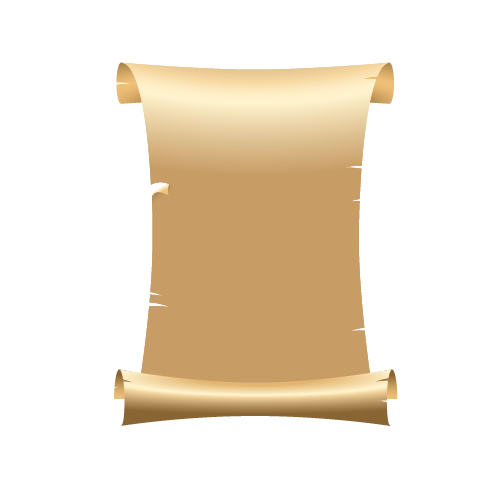 Duplicate (Ctrl / Cmd + C, Ctrl / Cmd + F) the large shape of the parchment as well. 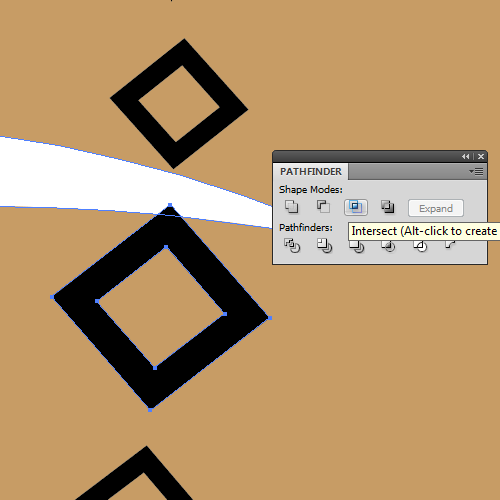 Select both copies and under the Pathfinder Panel hit the Intersect button. Place the new shape underneath the rolled up part of the parchment and change its Fill color to #A17640. Feel free to adjust the shape of the shadow if needed. And voila! We are done.